Collisions that occur during sporting events, slips, falls or automobile crashes can all have a damaging effect on your neck and back. 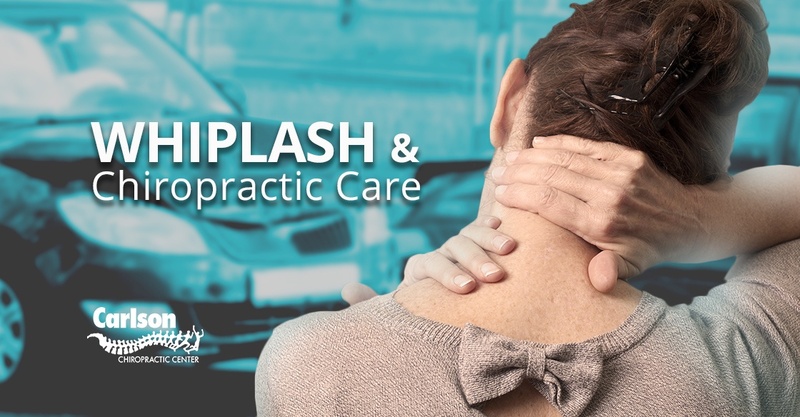 These types of collision-related injuries are often called a "whiplash." The resulting instability of the spine and soft tissues can contribute to headaches, dizziness, blurred vision, pain in the shoulders, arms and hands, reduced ability to turn and bend, and low back problems. As the body attempts to adapt, symptoms may not appear until weeks or even months later. Whiplash is most commonly received from riding in a car that is struck from behind or that collides with another object. Even if the car only receives little damage, occupants can suffer serious spinal injuries. When the head is suddenly jerked back and forth beyond its normal limits, the muscles and ligaments supporting the head and spine can be stretched or torn. The soft, pulpy discs between spinal bones can bulge, tear, or rupture. Vertebrae can be forced out of their normal position, reducing range of motion. The chiropractic care approach to these types of injuries is to use specific chiropractic adjustments to help normalize spinal function. After a thorough case history and examination, the doctor will recommend a series of visits to help restore proper motion and position of spinal bones. If caught early enough, inflammation can be reduced and scar tissue can often be minimized. Chiropractors are experts in the care of bones, nerves, muscles and connective tissues that make up about 60% of your body. All of the joints in your body are part of this musculo-skeletal system and its optimal function is necessary for overall good health. Ask your Doctor of Chiropractic for more information about a care program that may include specific spinal adjustments, exercise recommendations, nutritional advice or other conservative methods of care based on your health history, age, current condition and lifestyle. Coffee, M.S., Edwards, W.T., Hayes, W.C., and White, Hyperextension Injury Patterns in the Human Cadaveric Cervical Spine, Cervical Spine Research Society, 1989. Farbmann, A.A., Neck Sprain, JAMA, 223(9): 1010-1015, 1973. Green, J.D., Harle, T.S., Harris, J.H., Jr., Anterior Subluxation of the Cervical Spine: Hyperflexion Sprain, AJNR 2:243-250, 1981. Liberti, F., D. C., Can a Passenger Be Injured If The Car Is Not? Medical.Legal Consultants Associates, 1994. MacNabm I., Acceleration Extension Injuries of the Cervical Spine, Editors: Rothman, M.D., Simone, M.D., the Spine, 2nd edition, Vol. 2, W.B. Saunders Philadelphia, 1982. White, A.A., M.D. and Panjabi M.M., PhD., Clinical Biomechanics of the Spine, 2nd edition, J.B. Lippincott, 1990.